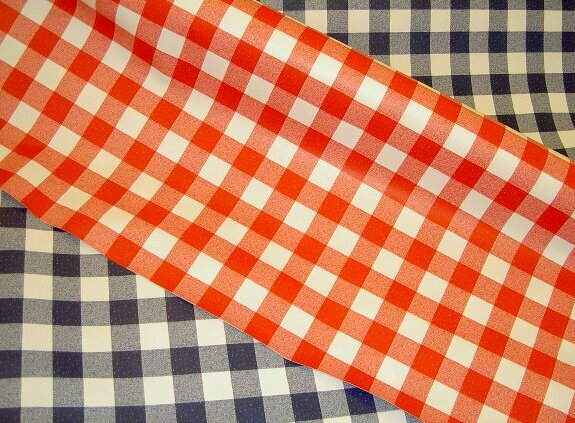 Coated fabric for tablecloth with blue+white or red/blue/green + white checkers. Great for any table where people or perhaps kids will be spilling stuff. Checkers are ca. 1x1 inch. Is waterproof and can be whiped with a wet rag.